Anu Gupta received the M.Sc (Hons) in Physics from Delhi University in 1988, M.E and Ph.D. degrees from Birla Institute of Technology and Science (BITS) Pilani, BITS Pilani in 1995, 2003, respectively. 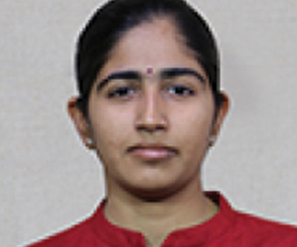 In 1995, she joined BITS Pilani as Assistant Lecturer. She was designated as Assistant Professor (in 2003), Associate Professor (in 2010), and Professor (in 2016) at BITS Pilani. Her research interest includes Low power analog/ digital/ mixed signal design for FPGA/ ASIC applications. 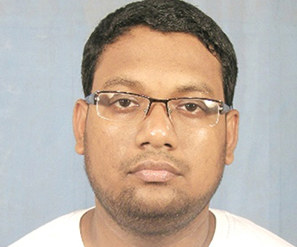 Arnab Hazra is currently Assistant Professor in the Department of Electrical and Electronics Engineering, BITS-Pilani, Pilani campus. Arnab received his B. Tech degree from West Bengal University of Technology, Kolkata, India in 2009. He received his M. Tech and Ph.D. Degree from Indian Institute of Engineering Science and Technology (IIEST), Shibpur, India in 2011 and 2015, respectively. He has published about 45 research articles in journals and conferences of international repute. His present research interest includes 1-D nanostructured semiconducting metal oxide based gas/vapor sensors and other semiconductor devices like Resistive Random Access Memory (RRAM). He received the Best Ph.D. Thesis award by INAE in 2015 and ISSS in 2016. He is the recipient of the IEI Young Engineer Award by Institute of Engineers, India in 2016. He is a member of IEEE Electron Device Society from 2014 onwards and a life member of MRSI. 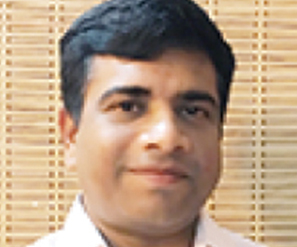 Pawan Sharma is an Assistant Professor in the Work Integrated Learning Programmes Division of BITS Pilani. 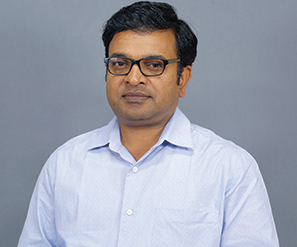 His area of expertise is Digital VLSI Design and Reconfigurable Computing and has been engaged in research and teaching in the field of Microelectronics for the last 17 years. Pawan has over six years of industrial experience in design and automation of distributed control systems in process industries. He has played a key role in establishing state-of-the-art virtual and remote laboratories in the field of VLSI Design, Electrical Engineering and Embedded Systems at BITS-Pilani. Pawan completed his Masters in Microelectronics from BITS, Pilani, Pilani campus in 2005. 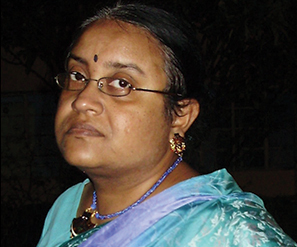 Srijata Dey is currently an Assistant Professor in the Department of Physics, BITS-Pilani, Pilani campus. 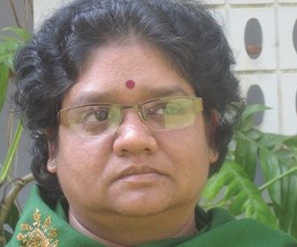 She received her Master of Sciences in Physics from Indian Institute of Technology, Kharagpur in 1988. She received her Ph.D. Degree from the University of Heidelberg, Germany in 1994. 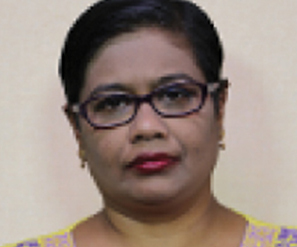 She did postdoctoral research in experimental condensed matter physics with specialization in scanning probe microscopy, surface analysis, thin films etc. in different institutes across the world, namely: University of Heidelberg, Germany; Georgia Institute of Technology, Atlanta, USA; Max Planck Institute of Microstructure Physics, Halle, Germany; Electronics & Telecommunications Research Institute, Taejon, S. Korea; Academia Sinica, Taipei, Taiwan. Coming back to India she worked as an Assistant Professor in the Department of Physics, Indian Institute of Technology, Kanpur for two years before joining BITS PIlani in 2003. Brajabandhu Mishra is an Associate Professor at BITS Pilani. His area of expertise includes Embedded Software in the domains of Audio, Video, Networking and Smartphone. Brajabandhu has spent more than 17 years in Industry in Embedded Software domain with companies such as Intel, Broadcom, LG, and Pace. He has filed several patents in US patent office, out of which 11 patents have been granted. Brajabandhu received his Master's degree in Electronics Design and Technology from Indian Institute of Science, Bangalore. He designs and delivers courses in Embedded Systems Design, Real Time Systems, Software for Embedded Systems, and Network Embedded Applications through the Work Integrated Learning Programmes initiative of BITS Pilani. Meetha V Shenoy is a Lecturer in the Department of Electrical & Electronics Engineering at BITS Pilani where she has been teaching for over 5 years. Meetha's specialization is in the area of Deeply Embedded Systems and she teaches courses on Embedded System Design and Microprocessor programming & Interfacing. She has been lead instructor and member of the content development team for these courses delivered through BITS Pilani's online content delivery platform. Her current research work includes design of Optimal Embedded Hardware and Software Architectures for Mobile Wireless Sensor Networks, Swarm Robotic Systems and Autonomous Navigation in indoor environments. Meetha has industrial experience in serving as a Design and Development Engineer with an organization that provides technology consultancy, software and system design services for the automotive, consumer electronics, telecom and healthcare industries.